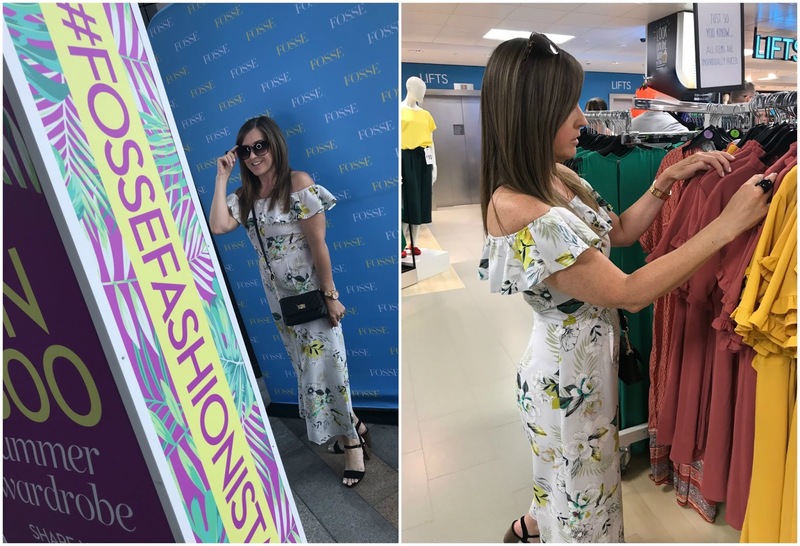 A couple of weeks back I worked with Fosse Shopping Park, Leicester's biggest out of town shopping centre on their Fosse Fashionista campaign. They were offering one lucky shopper the chance to win a £300 summer wardrobe. Woah! All they had to do was snap their outfit in the selfie booth and share their GIF on the Fosse Shopping park Instagram page, I mean, come on, how easy was that! I was on hand to show them how it was done with my purchases from Primark. You can head to my Instagram to see my GIF, I actually quite like how it turned out! Anyway, let's talk about the clothes I picked out. 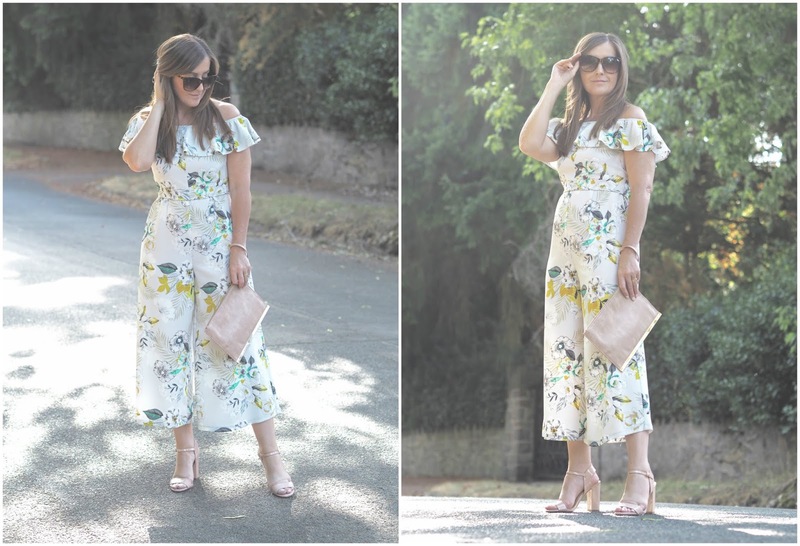 I'm sure you're not surprised to see me in yet another jumpsuit [the obsession continues-see here] and of course it's off the shoulder. I fell in love with this one the minute I saw it hanging on the rail in Primark. I was heading towards it praying that it was my size. Bingo! This is super comfy to wear and it even has a zip down the back for easy access. Only issue as per usual was the length, short girl problems strike again. It was "Mother, have you got your sewing machine handy?" She's a good'un. I definitely think Primark should launch a petite range, mother would be happy for sure :). Please note I DO NOT have ridiculously hairy shoulders as this picture may depict, it's my actual hair around my back!! 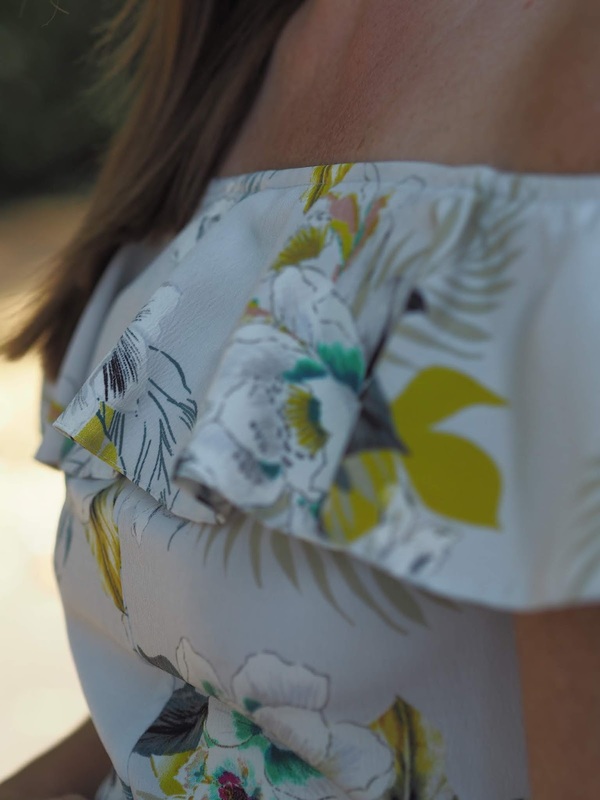 I adore the pattern and it's perfect for summer, yes, I do know it's raining right now but word on the street is that the nice weather is set to return and linger until October, not the heatwave but higher than average temperatures so I'll take that. And.......I'm not having my summer holiday until September so I'm still buying all the summer gear. Primark do still have lots of their summer stuff, although dotted in between all the Autumn/Winter arrivals so if you're quick you can still bag yourself a bargain and might even find this jumpsuit. Also thinking ahead to Autumn I picked up this gorgeous rust coloured little dress. It's light enough to wear now with bare legs [not that I like to get my legs out at any time mind] or later in the year with tights. Wear for a casual day time look or dress up with some killer heels, tassel earrings and you're good to go for a night out. I loved working with Fosse Shopping Park on this campaign, seeking out summer bargains but also dipping my toe into Autumn. I also picked up some checked trousers with a paperbag waist, perfect for Autumn. I love them and I'll show you them in another post at some point. If you are in the Leicestershire area or surrounding counties Fosse Shopping park is well worth a visit. There are plenty of stores, places to eat AND free parking! What's not to love? 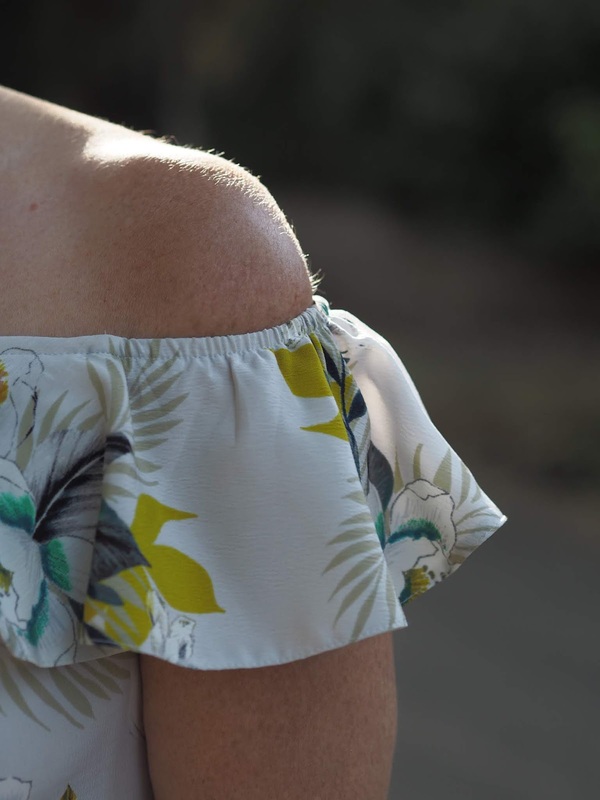 You might also like to read: Summer stripes, off the shoulder & a trip to Rufford Abbey. 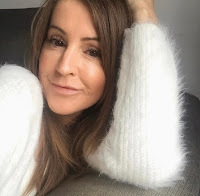 Linking up with Not Dressed as Lamb, Style Splash, Honest Mum and Nancy's fashion style.